What I love about hunting for deals to post up here on Latest Deals is that every so often one comes across absolutely amazing deals. 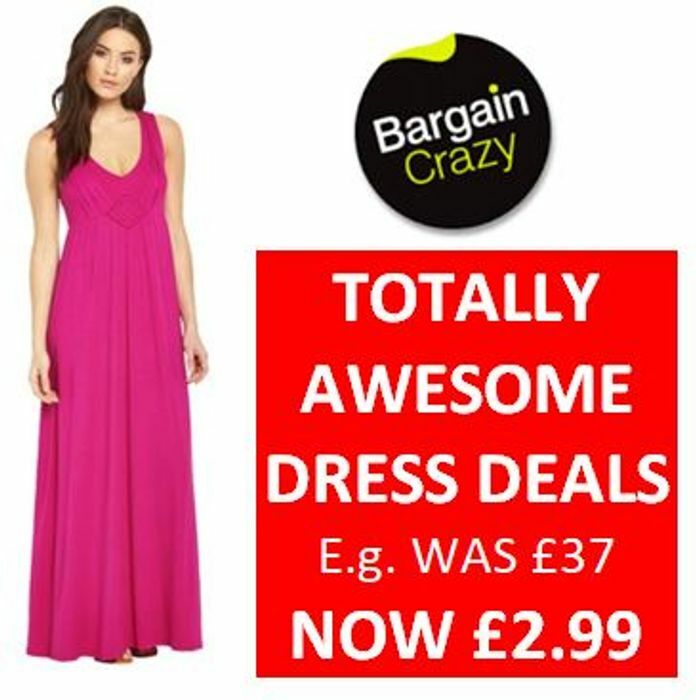 If you go to Bargain Crazy, select 'Dresses' and do a sort by Lowest Price you can find dresses that were £45, £37, £32 for just £2.99, and dresses that were £87 for just £3.99! You need to be lucky with your size of course, but wow what fantastic bargains. Definitely woth a rummage I think! Get an EXTRA 10% OFF EVERYTHING AT BARGAIN CRAZY!